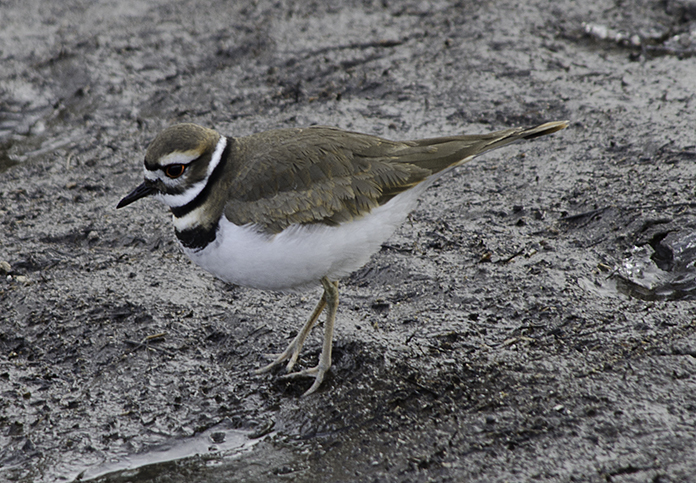 The killdeer is a common bird throughout most of the United States. You will often see them at water’s edge running and pecking at the grounds searching for food. I came across these killdeer on the mudflats by the river. The are a part of the plover family and can also be found in pastures and fields far away from water. The killdeer get their name from the sound they make which supposedly sounds like “kill-deer.” I could hear them all around me and it certainly didn’t sound like “kill-deer” to me. But they are fairly vocal birds. They are beautiful birds and fun to watch. Great catch of the reflection. I was wondering about the name when I saw your post’s title, Maralee, and thanks for the explanation! 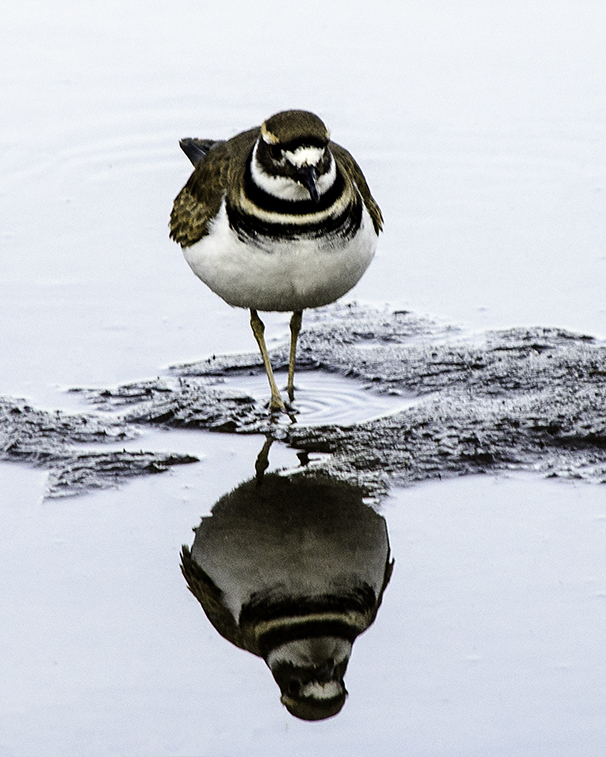 I love the plump look of the little Killdeer reflected in the puddle.